Are you planning a backpacking trip? Is it your first time? Well guess what, me too! I’m planning a trip to South East Asia, an exciting but overwhelming task. What do I pack? How much money do I need? Do I need travel insurance? What type should I buy? Here, I’ll tackle some of these common questions to instill a sense of trip planning confidence for us beginner backpackers. You can’t go anywhere without money, so let’s start here. First, figure out what travel lifestyle you want to be living for the next few months. Are you a bare bone backpacker? A flashpacker (you splurge on things)? Or are you somewhere in the middle like me? I want to be budget conscious but that doesn’t mean living in the dirt for 6 months either. Backpacking can accommodate any budget― it’s totally up to you (and your wallet)! Create your own tours instead of joining them. Ask other travellers, locals and concierges what they recommend for the best budget friendly activities, accommodations and transportation options. Look for student discounts and free days. Inform your debit and credit card companies that you’re travelling to avoid cancellation of your card. Store your money in different, secure spots. Only carry what you need with you and use a debit card when you can. To save money, check to see what coverage you already have. 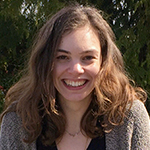 Do you have coverage from your university? Still covered under your parents’ annual travel medical family plan or extended health? Does your credit card have any coverage? If you said yes to any of the above, then your best bet for adequate coverage will be to purchase a top-up emergency medical plan. With so many options nowadays you can spend as much as you want from 5 star hotels to couchsurfing for free. The type of experience you’re looking for will likely decide for you. Make sure you book your first couple nights at your first destination. You’ll likely feel jetlagged, tired and grumpy, so do yourself a favour and get a good first night’s sleep. Then let the accommodation spontaneity begin! If you want to stay for free and socialize with the locals, this is a great option. Make sure the profile is filled out, has a picture, and the reviews are good—this will help the vetting process and can provide a bit more safety. Verification is also helpful. They’re not all dirt and dorm rooms (although those are still around!). 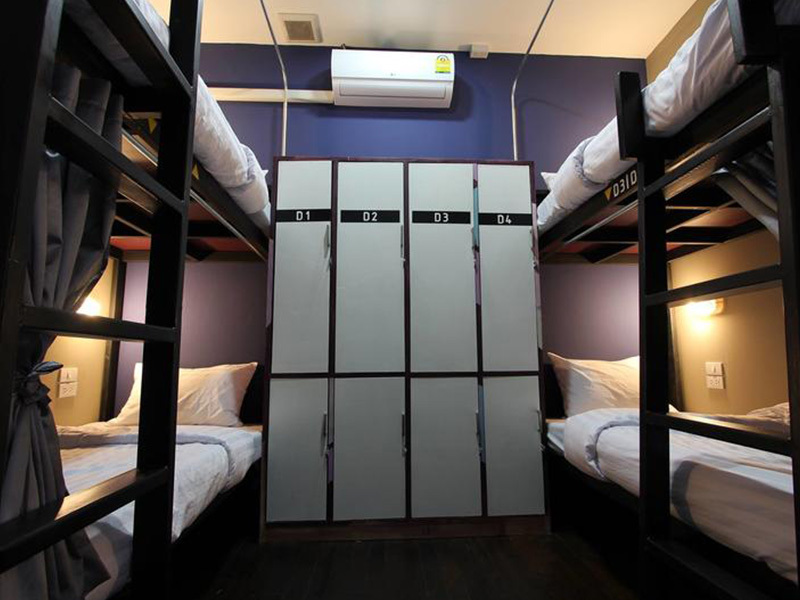 Do your research to find the hostel that best fits your travel experience. The cheapest option is to share a room and bathroom with others but if you need some privacy, many hostels also offer private rooms. HostelWorld.com is an easy-to-use website. Want more tips? Nomadic Matt explains all the deal-breakers you should watch for when picking a hostel. One good tip is to know when to splurge. Spending a couple extra dollars per night could mean a much comfier bed or better shower. After months of travelling, those could mean the world! Want the privacy of a hotel but also an authentic local experience? Stay at a local’s home instead of a hotel with Airbnb; share common space and book a private room, or spend a bit more to have the entire place to yourself. Since hostels are tried and true and have come a long way, I’m going to stick to them. Not only are there a vast variety but I can meet some new travel buddies! Although I’ll mostly stay in hostels I’m open to different options like Airbnb, especially if my friends prefer that. After travelling for months at a time, I think it will be great opportunity to try new things. If I don’t like it, I can move on! Book rooms that have fans instead of air conditioners to save money. Cook your own meals in your hostel and take advantage of complimentary breakfasts. Don’t forget to turn off the heat or air conditioner at home and plan to have your mail forwarded or picked up by a neighbour or family member. Planes, trains or automobiles? There are so many options for budget-friendly backpacking transportation. While planes are the most efficient they’re also the most expensive. Do as the locals would and take public transit. Whether that’s walking, hopping on local busses or subways (don’t forget about Tuk Tuks, rickshaws and scooters, which are cheaper than taxis) or taking the train to get from destination to destination. They may take longer but it will be cheaper and you’ll get to enjoy the local culture and amazing views! 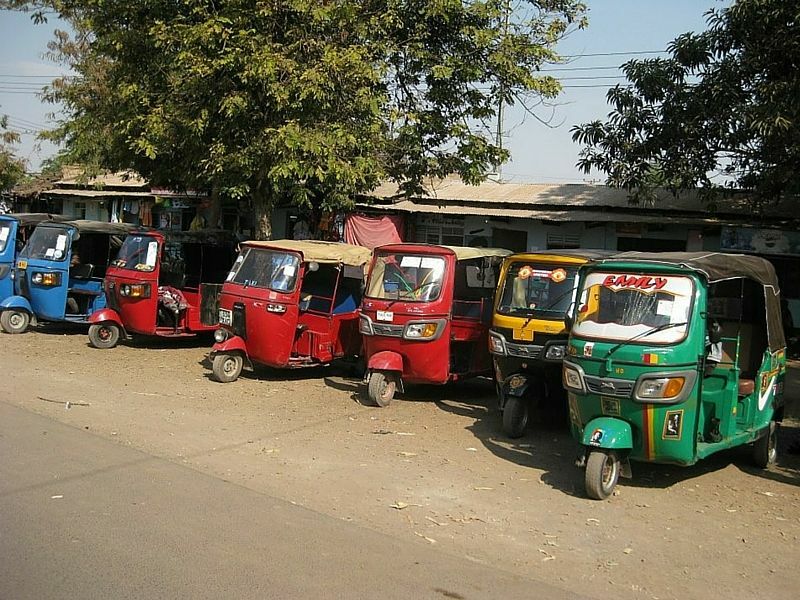 Hop on a Tuk Tuk for a fun and cheap transportation option! Compare airfares to get the best deal. Set airfare alerts with websites such as Kayak or Skyscanner to keep track of flight prices. Fly on the cheapest days (Tuesdays, Wednesday and Saturdays). Fly during the cheapest times (dawn, red-eyes and dinner time). Buy one ticket at a time if buying for more than one person (if there’s one ticket left at a discounted price, you won’t be able to get it in one transaction for 2 tickets). Be open to connecting flights if it saves you money. Trip Interruption is cheaper when purchased on its own (not with Trip Cancellation)! Purchase coverage before you go and cover the cost of your pre-purchased non -refundable air transfers. Oh packing! Deciding what to take on your first big backpacking trip is a bit mind-boggling. What type of clothes should I bring? How much stuff do I need? What if I lose my luggage? 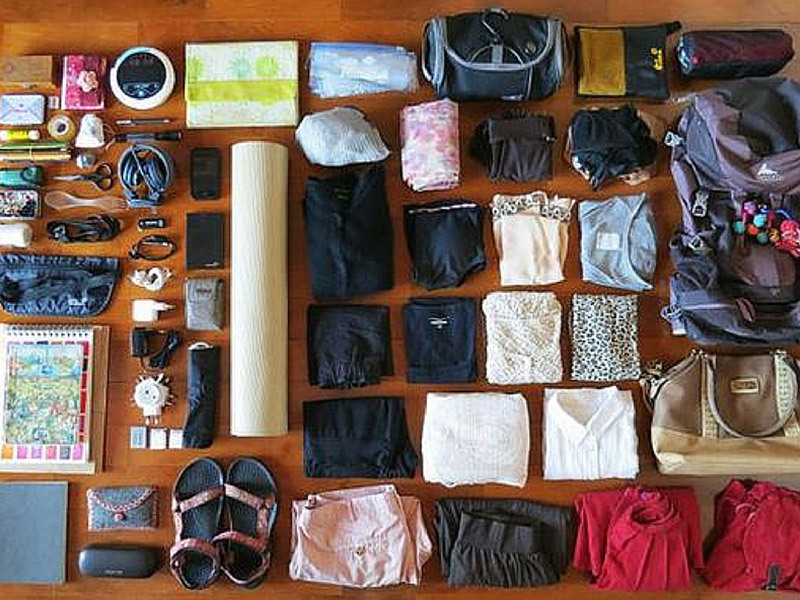 I recommend reading packing lists to get a better idea of what to bring and then asking the tough question: “do I really need this?” Our backs will thank us! Pack everything you need. Then take out half. You’ll end up throwing half of it away anyway! Photo via Malwina. Less is more. The more you bring the heavier it is, so pack only the essentials. Don’t forget you can buy stuff there. Bring only a carry-on if you’re worried about losing your luggage (that’s me!). Invest in a good travel backpack. Packs that open like a suitcase will make all the top-loading backpackers jealous. Roll your clothes and make use of all areas of your bag. Stuff socks in shoes and fill the corners. Buy toiletries like shampoo and conditioner at your destination. Make sure your clothes match to get the most out of your outfits. You’ll be wearing them in all combinations! If you’re checking your main bag, pack your valuables and key essentials in your carry-on. Electronics, jewelry, toothbrush and toothpaste, medication, extra pair of underwear and bathing suit are carry-on musts! Bring extra passport photos in case you need to apply for a last minute visa. Bring photocopies of your passport and other important paperwork or receipts (or email it to yourself for an electronic version). Leave copies of phone numbers and important information with someone at home in case of an emergency. Bring travel locks to keep all your belongings safe and secure, especially if you’re taking an overnight train. Since your bag and belongings are basically your life while backpacking, coverage is a smart idea! If your belongings are stolen, damaged or lost you can be reimbursed up to a limit. Notify your travel insurance company right away and keep in contact with authorities to do everything you can to recover your lost belongings. In case your belongings are lost or damaged, make your claim easier and draft a list of the valuables you’re bringing, such as your suitcase, diving gear, bike or skis and snowboard. TuGo’s baggage plan doesn’t cover electronics like iPads, smartphones or laptops, so make sure you read your policy to know what’s covered. You don’t want to come home early because you got sick or injured. Take a couple extra precautions to stay healthy and prepared, so you can enjoy your trip to the max! 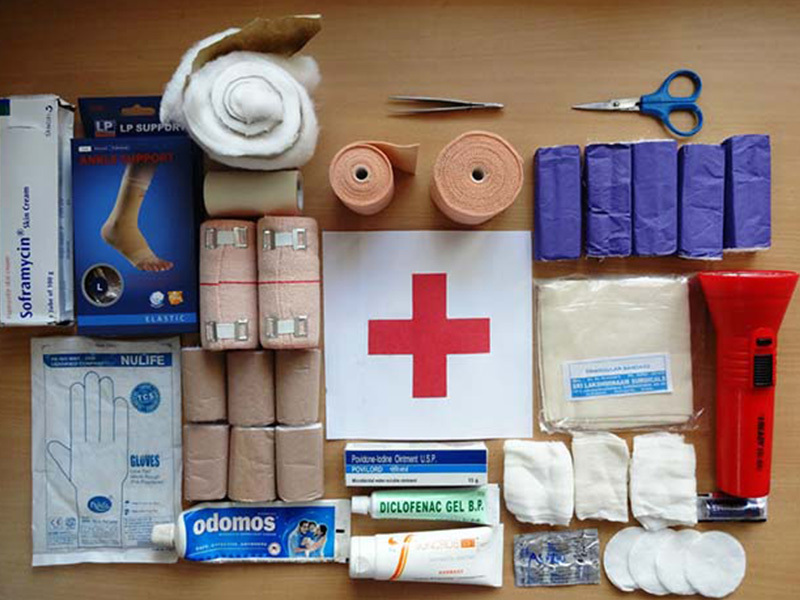 Check out Mapping Megan’s travel first aid kit essentials. Photo via Survival Life. Bring a small first aid kit. Get necessary vaccinations before you leave. Take Dukoral before your trip so you can eat all those adventurous things! Research and take necessary steps to stay healthy if you’re travelling in areas with food precautions or bad water. Write down important medical contacts for both yourself and someone at home. A medical emergency can happen to anyone, anywhere. Make sure to get an Emergency Medical Plan for your entire trip so you’re not stuck with a huge bill if you’re sick or injured while away! For backpackers, coverage for unexpected illness or accident is important. Look for a policy that covers emergency hospital/doctor’s visit, emergency dental care, emergency air transportation and out-of-pocket expenses to name a few. So do your research and make sure you get proper medical coverage. A little trip planning can go a long way to ensure you’re the care free and spontaneous traveller you’ve always wanted to be. If you do that then you’ll transform from beginner backpacker to expert in no time! Have you started your backpacking trip planning and research too? Any good tips you can share with me? Share them in the comments section below or tweet us @tugoinsurance. Whoa! Complete and essentials. This is perfect for beginner backpackers.